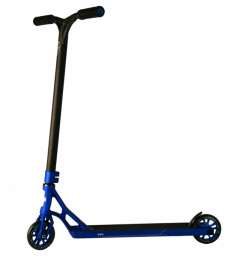 The new line of MGP scooters with the VX8 series. 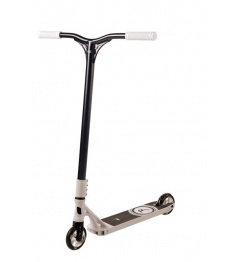 The Scooter has been upgraded . 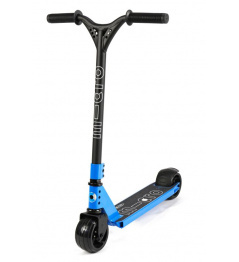 For example, the 120mm cast wheels with ABEC 9 bearings , new steel HIC handlebars, a better board, the overall scooter is lighter and stronger. The main advantage is the balance of the board. MGP has one of the best boards in the market. The neck is one piece. The board is for integrated headsets. Steel handlebars with two-sided collar ensure firmness. 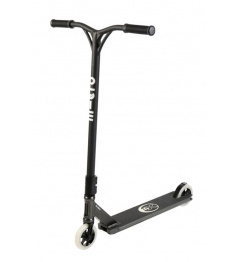 The scooter is excellent for intermediate riders Excellent skate-park , but it can also handle street . Hmotnost: 4,9 kg. Pro mírně pokročilé jezdce. Koloběžka vhodná do terénu. Hmotnost: 3,5 kg. Pro mírně pokročilé jezdce. Koloběžka vhodná do skate-parku. 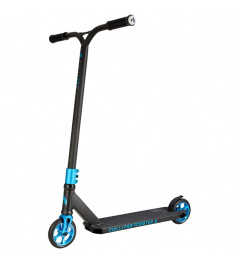 0 Review "MGP VX8 Team freestyle scooter blue"